Maybe you’ve read about Borderline personality disorder (BPD) in this blog. This time I will share about obsessive-compulsive disorder (OCD). One of the personality disorders that we do not realize. And do you know one of the triggers: Facebook. Oh, no! For your information, Facebook or Twitter and similar social-networking sites can lead to obsessive compulsive disorder (OCD). 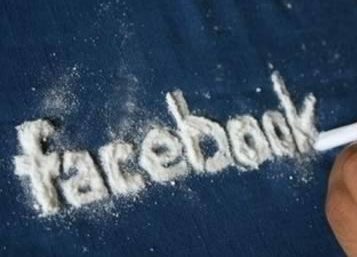 According to Dr. Pam Spurr, an expert in behavioral, social-networking sites such as Facebook could actually make a person exposed to diseases that are classified as psychiatric disorders. Habits or routines that often play up even if only just to see, check, or a status update can make you feel nervous and want to continue to do so. OCD is an anxiety disorder. The individuals who suffer from this condition often plagued with thoughts. The sufferer also engages in behaviors that are considered to be repetitive. Once the behaviors have been performed, it acts like a temporary form of relief. If the behaviors are not performed, anxiety may be experienced. There are people that will engage in the repetitive behaviors in order to cope with the thoughts that are experienced. OCD in different conditions also experienced by famous people such as Katy Perry, Megan Fox, Justin Timberlake, David Beckham, Jessica Alba and Charlize Theron. While this does not cover all the symptoms that may be experienced by sufferers, they are the most common symptoms. If you or someone you know has obsessive compulsive disorder, it is important to treat the condition under the care of a doctor. Pam Spurr said, a way to prevent OCD is to calm the mind, change the mindset and lifestyle. Pam adds, someone who is generally a quieter way of thinking can solve this problem. To protect them from the possibility of this disease, Pam recommends everyone should limit the amount of their time to play Facebook and, Twitter! Oh well, I must log out now.